I’ll apologize in advance, as this may be a bit lengthy, but feel free to share. Growing up, I was never the lean or fit type. I wouldn’t have called myself obese or fat, but I was usually on the heavier side. In college, I did shed some weight. I did a lot of walking across campus, which I know helped me shed some of that weight. By the time I graduated college, I was probably at my lowest weight up to that point. I weighed approximately 155-160 lbs. After college (2007), my weight fluctuated for a little while. Then that fall, I moved out of my parent’s house and was living on my own. After that, I seemed to gain back what I had lost in college. Mostly, I believe because I became less active than I had been before and I would also just eat whatever I wanted, whenever I wanted. What I was eating wasn’t very healthy either. By the time I got married in October 2010, I weighed approximately 200 lbs. Then I got pregnant and put on about another 25 lbs. After having our son, I did lose my baby weight fairly quickly. Mostly due to watching what I ate and making what I ate worth it. I wasn’t eating junk food and usually didn’t have time to eat dessert because tending to a newborn kept me busy. After my maternity leave was up, I changed jobs and was physically more active. I lost a little more weight with the job change and was probably around 165-170 lbs. I stayed around that weight, but wasn’t always happy about it. I figured though that since I wasn’t that close to my heaviest it wasn’t too bad. At times, I would lose weight, but then I would eventually put it back on. In the summer of 2014, I changed jobs again, but this time I went to one where I was less physically active. I ended up gaining about 10-15 lbs. In the fall of 2014, my husband also changed jobs and started at Waupaca. They offered their employees and families free gym memberships to EverBody’s. My husband and I signed up, but we didn’t really use our membership right away. I maybe went to a class or two here and there, but that was it. I heard about the Biggest Loser (Season 9) competition that was starting in January, but wasn’t sure about committing myself to the time. My brother-in-law and sister-in-law, Matt and Kristy, signed up and asked me if I was going to do it. I told them I might do the next season because I wanted to wait and see how things would be at my job since I was changing departments soon. In February 2015, I did change departments at my job to one where I was more physically active. I also went to some classes with Kristy. We mostly went to Zumba and usually once, maybe twice a week. After the Biggest Loser Season 9 was over, Matt and Kristy had a great amount of success! They were each their team’s biggest loser and in the top 10 overall! They said it was fun and I wanted in on it! I mean who doesn’t like to have fun and want to enjoy it too! In May 2015, I joined the Biggest Loser Season 10. We were given the opportunity to pick our coaches or who we wanted to be with on our team. Matt and Kristy signed up too for that season so I requested to be on their team. Our coaches were Russ and Chris. At the meet and greet, they challenged us to set a non-weight loss goal. I decided that mine would be to ride my bike to the gym every Thursday to weigh-in, weather permitting of course. I only lived about a mile from the gym so I figured that was something I could do. It was a short ride and a nice little last chance workout. Russ and Chris also pointed out that Matt and Kristy were the biggest losers on their teams the previous season and said that they thought that one of them (Russ or Chris) might just be the team’s biggest loser. I told them I would try to give them a run for their money. Honestly though I didn’t know how I would do because I know it would take quite a bit to get to the top and I mainly wanted to get healthier. When I first weighed-in, I was 166.6 lbs. 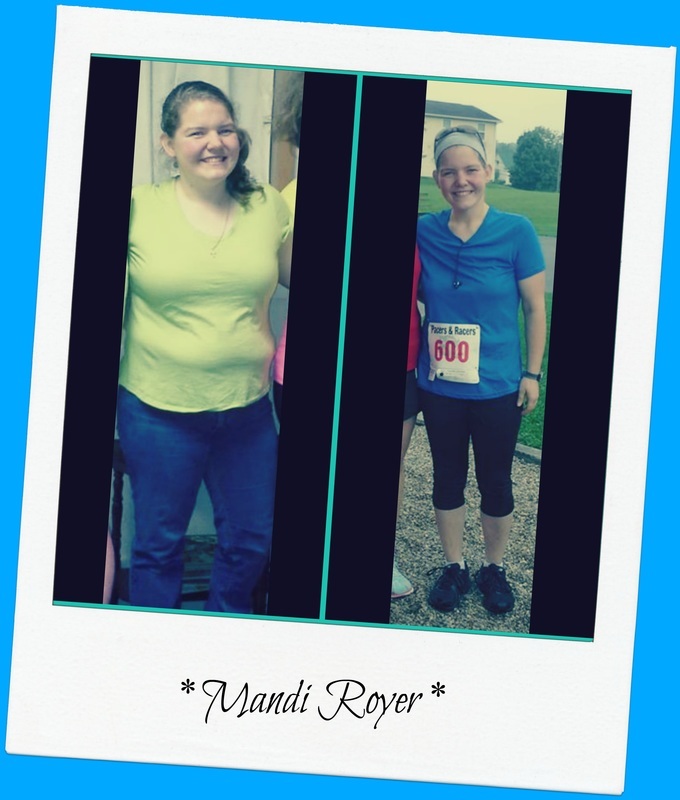 Some people asked me why I joined the Biggest Loser because they didn’t think that I needed to lose weight. I told them that my goal wasn’t necessarily to lose weight, but to become a healthier person. I also wanted to make better food choices and become more active. I started by downloading 2 free apps on my phone. The first app I downloaded was Fooducate. I used it to find healthier alternatives to the foods I was already eating. The second app I downloaded was My Fitness Pal. I used this app to track what I was eating and what activities I was doing. I also started reading more food labels and becoming more aware about what was in the food I was eating. I made small changes over time and watched the portion sizes of what I was eating. I also tried to not eat later in the evening. If I did eat a snack later in the evening, it was usually something small and healthy like a banana, apple, or a cup of yogurt. I also started making sure I was drinking plenty of water. To be more active, I started actually using my gym membership! I would try to go to a couple of classes a week. If I couldn’t make it to the class I wanted to go to, I tried to just make the effort to do more things around the house, instead of sitting on the couch. Occasionally, I would go to the gym and do the elliptical, bike, or lift some weights too. Slowly, but surely the weight started to come off. I weighed-in every week because I wanted to know how I was doing, plus it made me hold myself accountable for what I was eating and how much I was exercising. By the end of the season, in June, I had achieved my non-weight loss goal of biking to the gym to weigh-in. Also every week, with the exception of 1 (because it was getting ready to rain), I pulled my son in the bike trailer with me when I went. I also lost a total of 25 lbs. to end the season at 141.6 lbs. That was the smallest I can remember that I have ever been. Before the celebration, Kristy told me she thought that I was our team’s biggest loser and probably the overall biggest loser. I was pretty skeptical, especially about the overall part. I knew there were a lot of people that participated that season and I was pretty sure I did not lose enough to be the overall. I was also unsure of being our team’s biggest loser because I knew a lot of people on our team had been pretty successful. At the celebration, as I was watching the slideshow of the before and after pictures, I was still skeptical about what all Kristy had thought. Later they called the team’s biggest losers. I was named my team’s biggest loser. I was surprised! As I watched the others who were called for their teams, I was pretty certain I was not the overall winner. I was totally ok with that because I was a healthier person, making healthier choices to live a healthier life. I was happy with my weight loss and proud of the changes I made in my life and that was worth more than anything! Then they called the runner-up, Brian Cole. Kristy and the people sitting behind me (Missy Noble & Emily Miller), started nudging and tapping me and saying that I had it won. Then they called my name as the winner. I was surprised! After I sat back down, I was still in disbelief and shock. I even got a little teary-eyed. Later they asked me if I wanted to share anything and I shook my head no because I knew that if I tried to at that moment I would have probably cried and I didn’t want to do that. Since Season 10, I lost about another 10 lbs. and when Season 11 came around I joined the maintenance team. My husband also joined Season 11 and lost around 14 lbs. I was able to maintain my weight for the season and actually ended up about a pound lighter. I’m happy I started this journey and look forward to continuing to be a healthier person. I also enjoy doing different things at the gym, some that I probably wouldn’t have tried before. There are times that I have fallen off the bandwagon of eating healthy, but who hasn’t. Eventually, I tell myself I have to hop back on the wagon of eating better because I don’t want to fall back into bad habits. Season 12 has rolled around and I’m sitting this one out and will be sitting out until after June (Boy am I missing it!). The reason being that my husband and I are expecting our second child. However, my husband and in-laws are still participating this season. Even though I am sitting out, I continue to try to eat healthy because after I have our child I want to continue to be a healthier person. Hopefully, I will also be able to shed the baby weight that I gain fairly quickly too.